Sherry Hughes has considerable experience in various types of massage. She mainly performs deep tissue, but she also provides Swedish massage, myofascial release, trigger point therapy as well as stretching exercises. Because we are not a high-volume practice, you will never feel rushed while you’re getting your massage. It depends on your plan. Some insurance companies will cover a portion of your massage services. Check with your provider to determine your coverage. No; massage with Sherry is by appointment only. Is there any particular way I need to prepare for my massage? Not really. If you’re having a table massage (available at the Crandall office only), undress to your comfort level; draping is provided. Sherry will provide hot moist towels to loosen up muscles. If you are having a chair massage, that can be given in your street clothes. If your tissue is healthy, you will likely feel good following your massage. 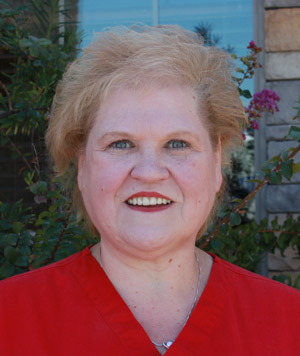 If you have any painful or tense areas, please let Sherry know so she can adjust your massage if needed. With deep tissue massage, you may feel a bit sore after but it’s more like you’d feel following a workout at the gym. How does massage complement chiropractic care? Because massage helps to release muscle tension, you will likely respond better to chiropractic adjustments. Your adjustments may hold longer as well. Experience the difference that massage therapy can make in your life. Contact Johnson Chiropractic today to book a session with Sherry!